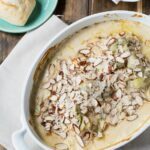 Chicken Artichoke Casserole is a super easy to make spring casserole using boneless chicken breasts, artichoke hearts, white wine, cream cheese, Parmesan cheese, plus a crunchy sliced almond topping. Serve with rice and peas or a salad for a comforting and filling meal. It really only takes 10 to 15 minutes to prep this casserole. Then place it in the oven for 40 minutes and you have a warm, rich supper ready to hit the table. There are two vegetables that start with the letter “A” that I can’t get enough of each spring- Asparagus and Artichokes. But while fresh asparagus couldn’t be easier to cook, I can’t say the same for artichokes. In fact, I’m not sure I’ve ever cooked fresh artichokes. Except baby artichokes in a crawfish boil. I always use frozen or canned artichoke hearts so there’s really no reason for me to limit most of my artichoke eating to spring, but it just seems fitting to. I like to cook casseroles at least once a week. They tend to be easy to make, satisfying, and leftovers almost always heat up well. 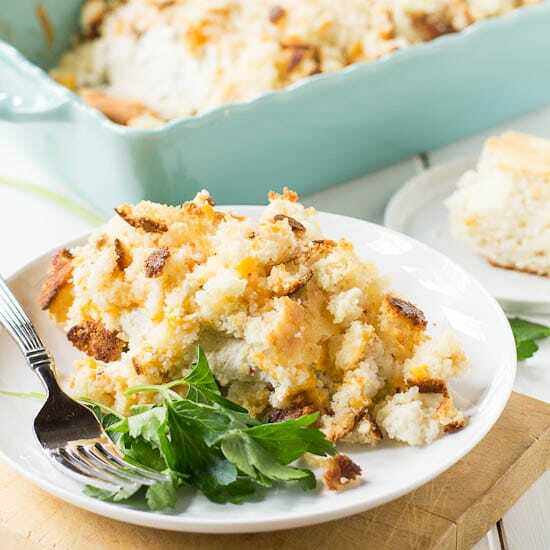 For more Casserole ideas follow my Casseroles Pinterest Board. This is where I pin my favorite casserole recipes and ones that I cannot wait to try. It will give you endless dinner inspiration. 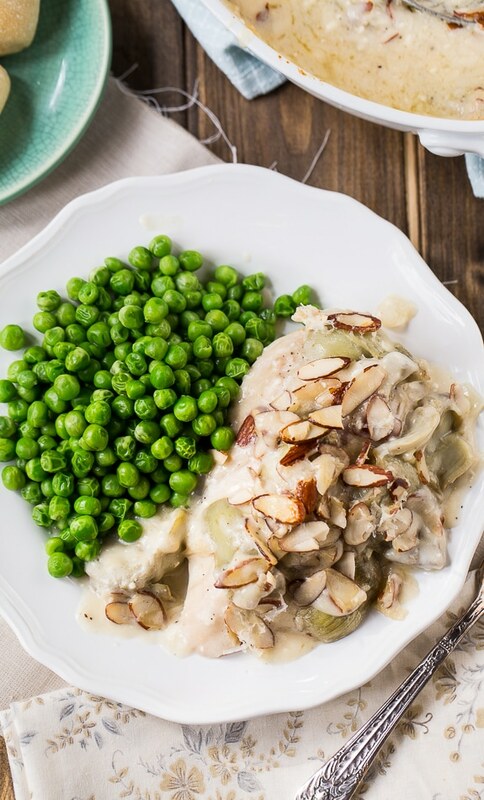 Chicken Artichoke Casserole is a super easy casserole made with boneless chicken breasts, artichoke hearts, and a crunchy sliced almond topping. Heat olive oil in a large skillet over medium-high heat. Season chicken with salt, pepper, and poultry seasoning. Cook until lightly browned on both sides. 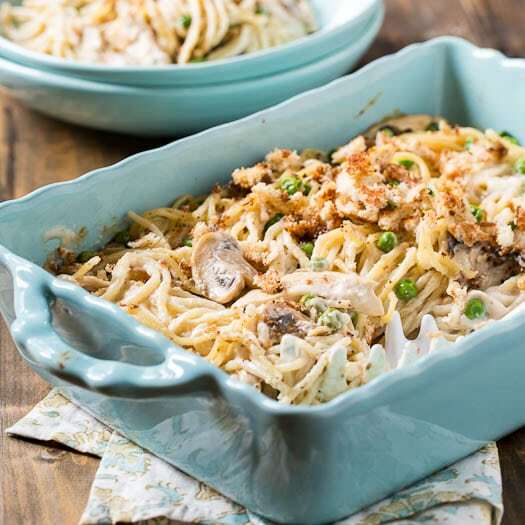 Place in a lightly greased 9X13-inch pan or similarly sized casserole dish. Scatter artichoke hearts on top of chicken. Add butter to pan and place over medium heat. Cook onion and garlic until soft. Add flour and cook 1 minute, mixing flour into butter. Gradually whisk in chicken broth. Let simmer to thicken and add wine. Cook for several minutes to let alcohol cook off. Add cream cheese and cook over low heat until cream cheese is melted and mixed into sauce. Pour sauce over chicken and artichokes. Top with Parmesan cheese and almonds. This entry was posted in Casseroles, Dinner and tagged artichokes, chicken, poultry. Bookmark the permalink. I wish people would comment only when they have tried this recipe. How it looks is of no importance. I love all your casseroles! This combination seems perfect for spring! 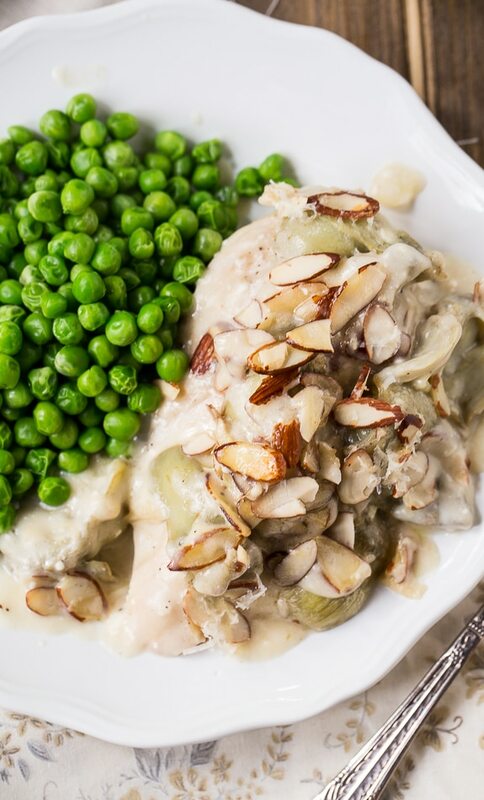 I love artichokes too and it sounds so delicious in this creamy casserole! Love how easy this comes together too! Ooooh this looks so good! I bet the combo of chicken, wine and artichokes is AMAZING!! I need to try this! I love artichokes, and this casserole looks so creamy and delicious! I always get so super excited for your recipes, Christin! This is such a fun combination! I am such a sucker for a good casserole! This is such a great idea to make a casserole using artichokes! This looks delicious, Christin! Such a hearty and flavorful meal! Looks so good! Really nice filling dish!